For many online businesses, having an FAQ page is a necessity. For example, if you are an e-commerce store owner, it is common for customers to have questions about shipping, returns, agreement, etc. 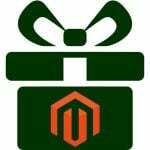 Magento 2 by default doesn’t come with product questions or any frequently asked questions feature. 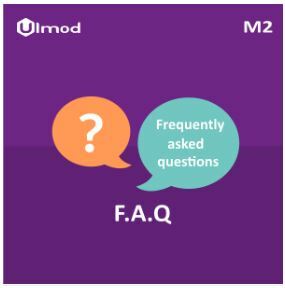 Therefore, the FAQ extension by Ulmod was built up to help your Magento 2 visitors and customers understand about your products more through questions and answers. 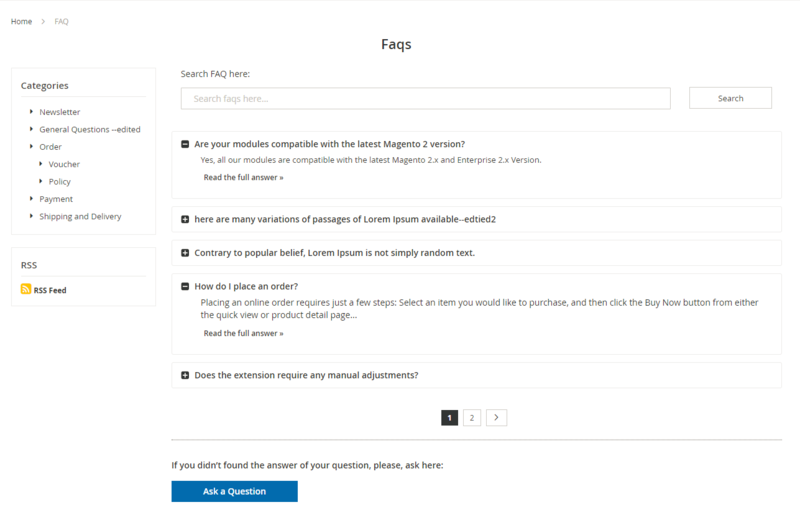 The FAQ tool allows you to create a separate SEO friendly FAQ page to help your visitors and customers find detailed answers to their questions. Categorize the article in different topics so that they can fastly find FAQs and share directly to 198+ social networks, including Pinterest, Twitter, Facebook and more, to help other out. The extension is mobile-friendly making FAQs easy to read on mobile devices. Unlimited FAQ categories and Q&A topics. Faqs widgets (categories and RSS feed) and sticky sidebar. SEO Optimized (permalinks, URLs, meta tags, meta title, description and keyword, RSS feed). 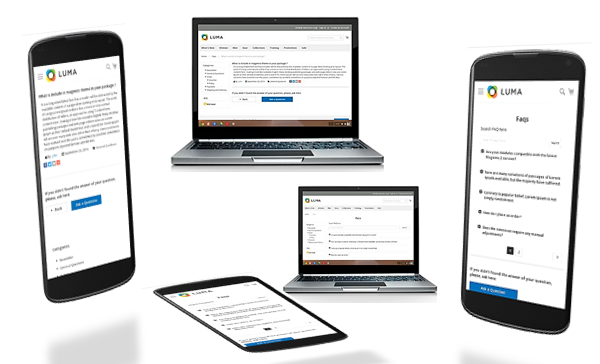 Responsive to mobile devices and support multiple websites, stores, and store views. The settings of the extension consist of nine areas – FAQ information (general settings), FAQ index page, FAQ list page, FAQ view page, ask questions notification, sidebar, widget, permalinks and social media, allowing store administrators to take full control of the functionalities in the administration panel. FAQ information section, allows admin to enable and disable the extension. The FAQ index page enables admin to specify the FAQ index page metadata (title, description, and keyword) for SEO-friendly. The FAQ list section allows admin to set the number of articles to show per page and enable/disable the ask question forms on FAQ list page. The Ask question feature, allow the customer to ask a question in case he didn’t found relevant answers to his questions. The FAQ view page section allows admin to enable or disable the ask question forms on FAQ view page. 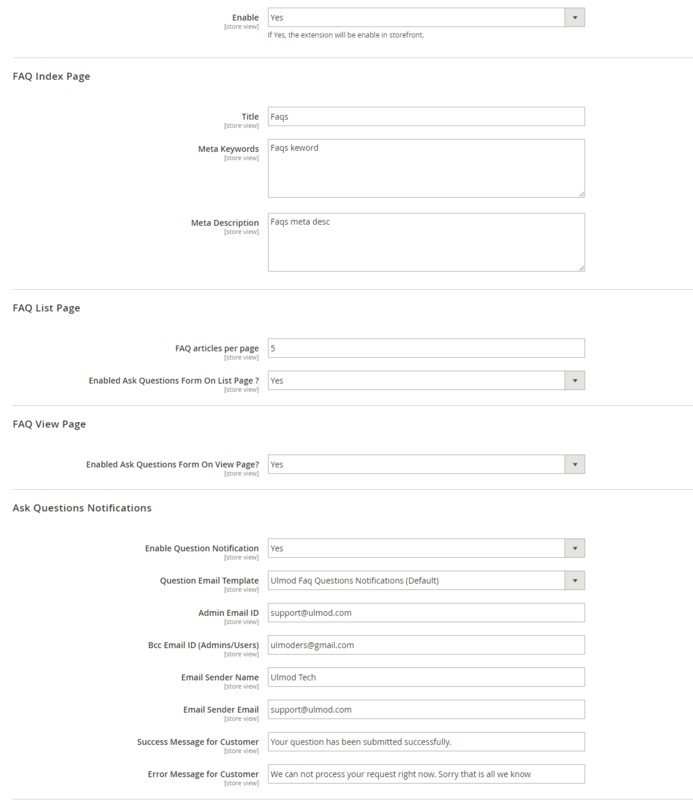 The Ask questions notification section, allows admin to enable or disable the questions notification, set email template, specify admin emails and bcc emails ids, specify sender name, sender email, define the success and errors message to show after form submission. The Sidebar section allows admin to show or hide FAQ categories, RSS Feed on the sidebar (sticky sidebar) and set the sort order, feed title and description of each. The Widget section enables admin to show recent FAQ on any page and position, set the number of FAQs to show per page. The Social media section allows admin to enable social sharing tool so that social sharing buttons(Facebook, Twitter, Pinterest and more) will display on the FAQ detail page, this increase leads traffic to your website! 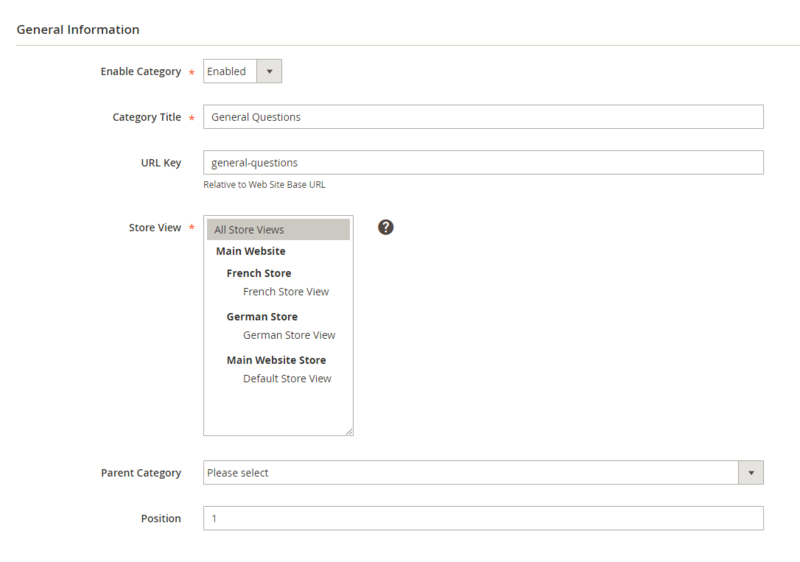 The FAQ article feature enables store administrators to create unlimited FAQ articles and assign them to a separate category. Add, edit or delete any FAQ article. 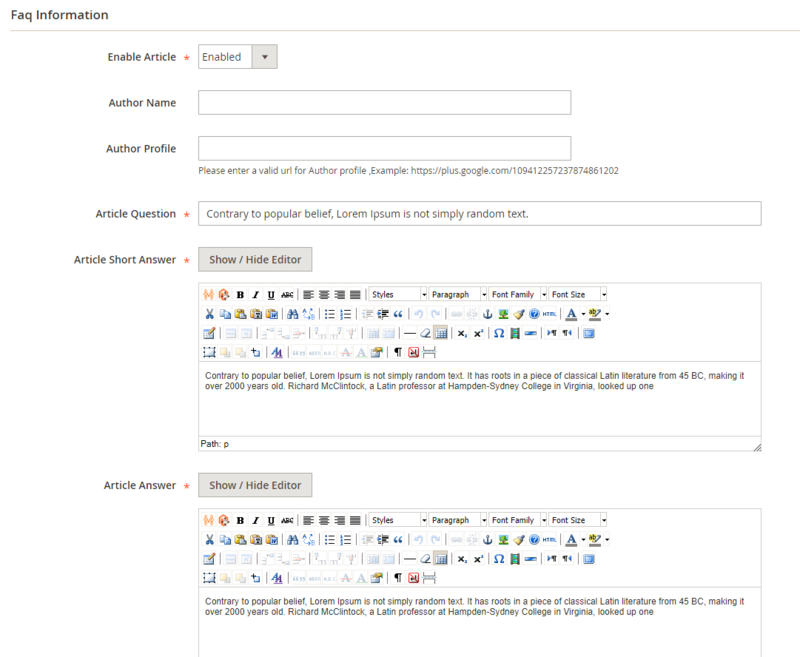 Specify the metadata (title, description, and keyword) to ensure the FAQ article get a higher position on search engine. 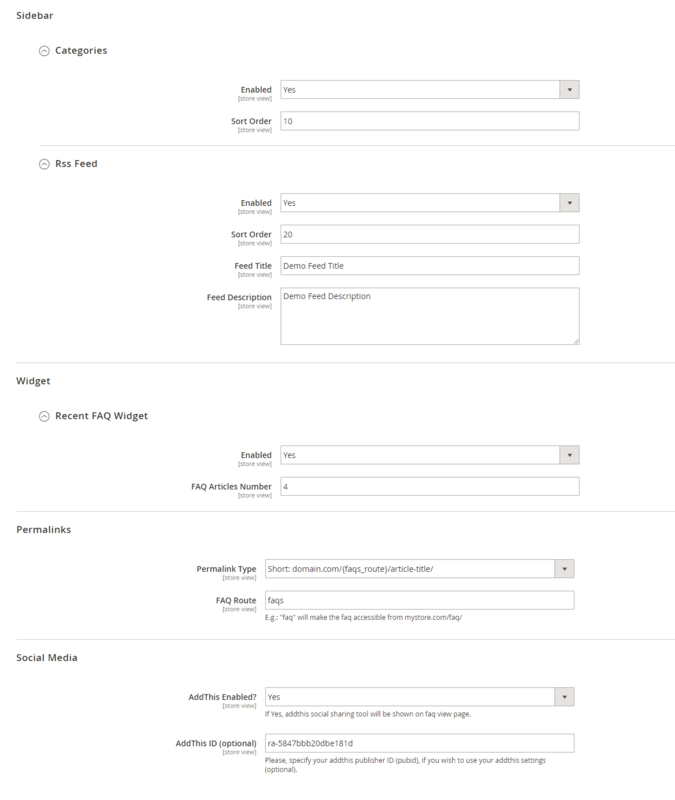 Set categories order based on their priority or customer’s purchasing process. Define category URL key, metadata (title, description, and keyword) for SEO-friendly to get ranked on the higher position on search engine. 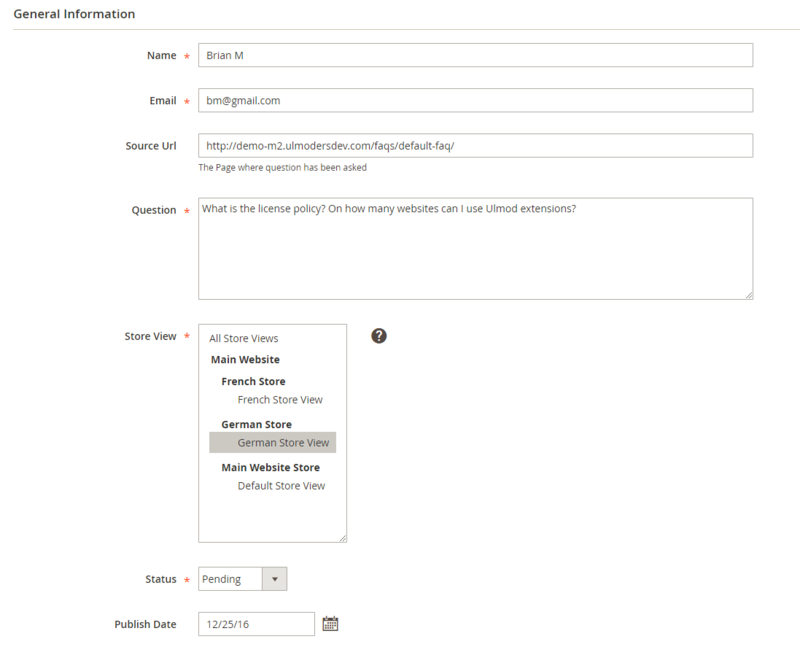 View question detail: name, email, source page, message, status and, update it on behalf of the customer. Mass approve, reject or mark as pending or completed. The extension is user-friendly, questions are categorized for better navigation and displayed with the expand/collapse feature. Visitors and customers can access the FAQ from the footer of the page, view all FAQ on the list page, and the full answer in the detailed page. View the answer to each question with the expand/collapse feature on the list page. It makes your FAQ page look more neat and clean and get the relevant answer quickly without going through different pages & waiting for the pages to reload. Search for a question, rather than writing a whole email to the support team. 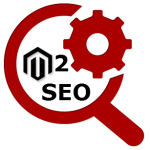 A powerful search tool based on content and keyword. Share the FAQ article to 198+ social networks, including Twitter, Facebook, Pinterest and more, which makes it easier to spread your content around the web. Any great FAQ should answer the burning questions customers and visitors are asking. 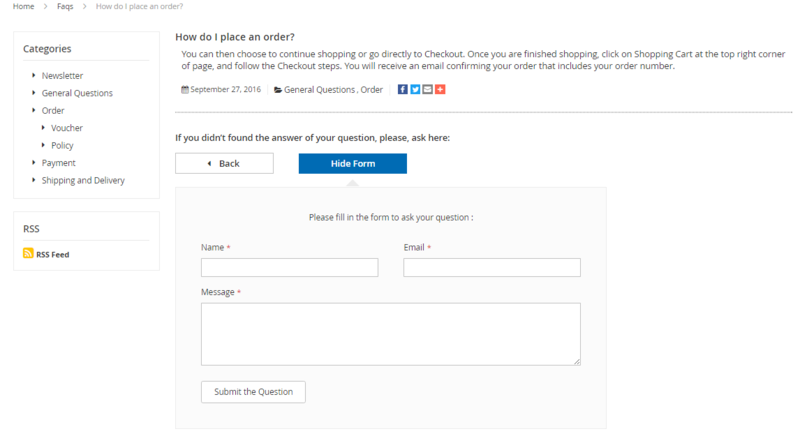 With the FAQ extension, visitors and customers can leave ask a question through a clean form, in case they did not find answers to their questions. The FAQ extension is mobile-friendly, work regardless of the screen or device. Allow customers, and visitors to read articles on tablets and smartphones and ask a question. On top of that, the extension support multiple websites, stores, and store views. 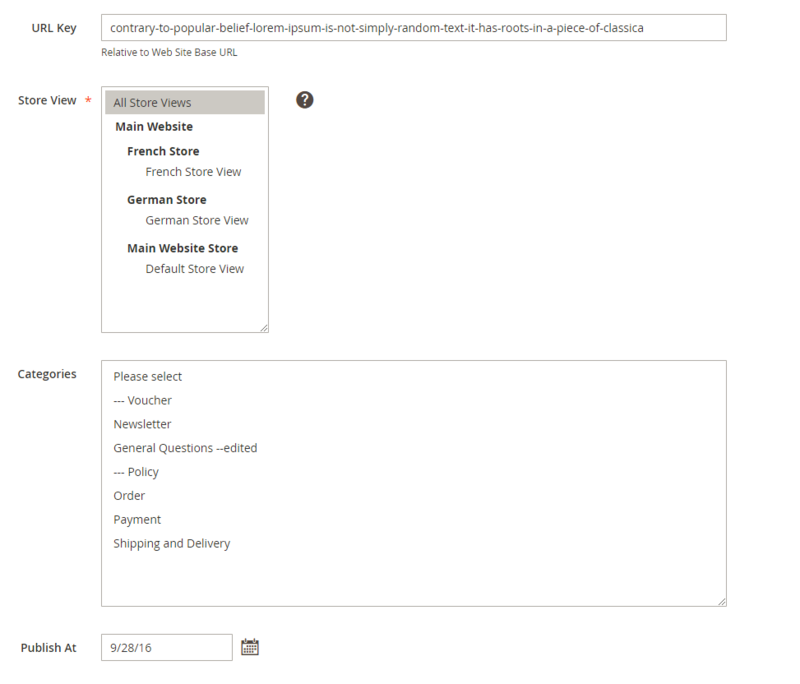 Admin can configure the extension, manage FAQ article, category and questions per site or stores. 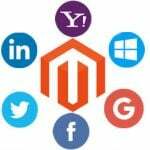 The FAQ extension for Magento 2 by Ulmod provide highly informative and well-designed FAQ sections for your website, which generate a healthy return and save you a ton of work. The FAQ extension helps your support team save time answering common questions by directing customers to instant information, and your customers to find what they’re looking for quickly, without feeling overwhelmed. The extension is easy to configure and use for both admin and customers. You can purchase it for $129. It comes with lifetime updates and 1-year free support. During the specified period, you will get an extension free support service. Further support renewals (optional) will cost you 70% less. For additional $49 the Support team will assist you with its installation.